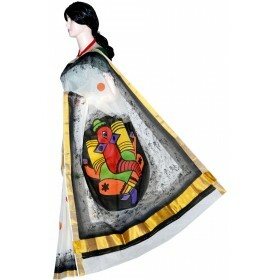 Elegant and traditional wear for women’s. 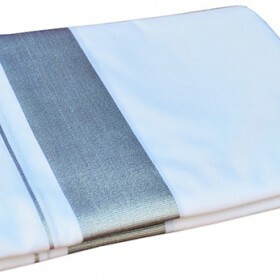 This is a kasavu settum mundum on that we design the velve..
Latest kerala mundu for men worked with Silver broad horizontal brocade and thin sliver brocade.. 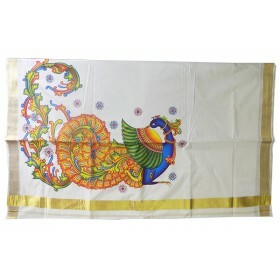 It is a gorgeous Kerala double mundu with bleach colour and having silver and black border which giv.. 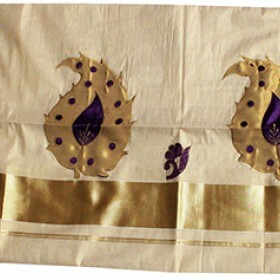 This is a kerala kasavu saree with a big border on the pallu. 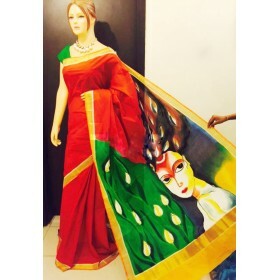 The pallu is plain and has no des..
Women’s love new trend to make them special, here is modern Kerala traditional hand painted saree to get a rich royal look. 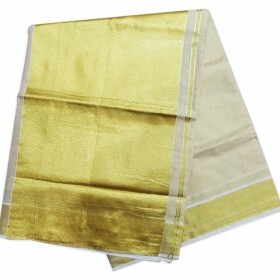 This is pure cotton handloom saree which gives a feel of half saree once you wear it. 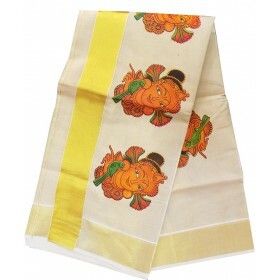 On pallu we have green color with natural hand painted design along with top fleet which makes it more attractive. 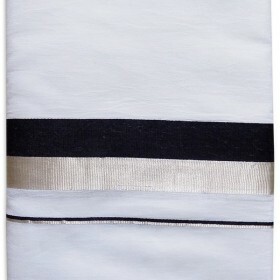 Bottom fleet is separated with off white and green color with having hand painted design. 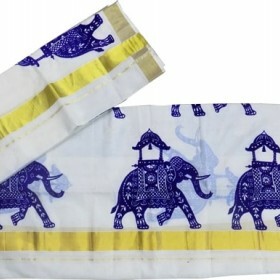 This gorgeous saree will be one of your best ethnic wear in wardrobe.